Goalkeeper Tim Howard makes blocking streaking soccer balls look easy. But soccer is more than a game for Tim. When he was diagnosed with Tourette syndrome as a child, Tim turned to soccer. He could focus on the game and not worry about anything else. He was focused on soccer at the 2014 World Cup. 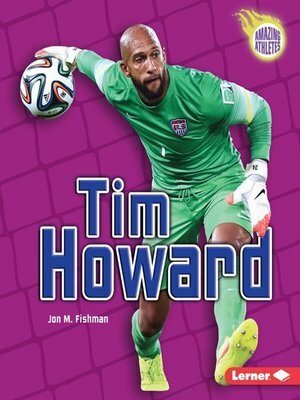 Tim's incredible 16 saves for the United States against Belgium set a world record for most saves in a single match. Read all about the life of one of the world's best goalkeepers.